I ditched my desktop and used a Lenovo Y510P (SLI) for a few years which isn't a bad laptop by any means, but it was less powerful than the desktop I came from. I travel a lot, so it didn't make sense to build another desktop just to leave it at home all the time, so I just left things how they were. During these few years I configured, built, and tested almost two dozen desktops for friends/family/clients(?) in exchange for sushi, and died a little inside every time. I've been saving for a bit, so I spared (almost) no expense for this build (note that this build is not quite complete, the RX 480 is a placeholder). My target was to build a machine that could play 1440p proficiently while handling large (hundreds of components) CAD projects and physics simulations, mostly because I bought an MG279Q (1440p, 144Hz, Freesync monitor) when I was not of sound mind and my laptop surely couldn't handle that.I then bought a 1TB SSD because I absolutely hate the sound of spinning disks. This build also worked out somewhat because I hate my work computer and needed more power for projects. There were two difficulties in assembly: One - I definitely should have plugged in the fan headers before installing the CPU cooler, it's nearly impossible to get them plugged in once the cooler is in place and the motherboard is in the case. I really should have known better on this one. Two - The PSU cables are meant for an ATX mid-tower or full-tower case, so there's a lot of extra cable left over. Cable-management was a little frustrating because of this. I love it in its current form, between the fans, sound dampening, and a custom fan curve, this rig is almost silent during normal operation and very tolerable under severe load (and it currently sits two feet from my head). I'm happy with all my component choices, reviews will be below for them. -New Video Card: The RX 480 was never meant to be a permanent addition, I'm waiting for more powerful AMD offerings so that I can take advantage of Freesync on more demanding titles. Also, on my larger projects the RX 480 begins to struggle, and that's just unacceptable. -New CPU Cooler: My work benefits from a faster processor, and currently my overclocks are limited by thermals. I dislike pump noise so I don't want to go with water cooling or an AIO, but I'm not sure what my upgrade options that would fit in this case are, other than something like an H5 Ultimate. -New Peripherals: G502 Spectrum has actually already arrived, but I'm too lazy to get new pictures. A new keyboard is in the works, maybe a Ducky One TKL RGB. Not sure yet. Open to suggestions, preferably a TKL or 60% (have enough full-sized mechanical keyboards). -More Monitors: My second monitor is actually a 40" 1080p TV that sits where those cardboard boxes are in the desk pic, which works well for Spotify and web browsing, but I want to get at least one more cheap monitor for the left side. -Aesthetics: I kind of want to get a set of Cablemod cables and an NZXT Hue+, despite it not being necessary. These are just one weak-willed night away from happening. Schiit Stack: Schiit Modi 2 and Schiit Magni 2 - Excellent budget Amp and DAC combo - will drive almost anything you've got and performs as well as more expensive, flashier options. Excellent value, will drive even difficult headphones. Keyboard: Filco Majestouch 2 Ninja (Cherry MX Brown) with Vortex thick PBT keycaps (side-printed) and o-ring dampeners - My daily driver, because I live with other people. Love the keyboard, wish I could using something louder. There's definitely better keyboards for the money nowadays. G400S: Bought to replace an MX518. Optical, decent. Not enough buttons. It has been replaced. Asus MG279Q: Bought it refurbished while otherwise affected. Excellent depth of color, crazy high refresh rate. No dead pixels, no significant backlight bleed, and the only serious issue is that every included cable (HDMI, DP, etc.) didn't work, which is why I assume it was returned. Used my own cables, worked fine. Out of box the color tuning was pretty bad, after calibration the picture is lifelike. Excellent, works great for me as I need the additional threads for non-gaming applications, extreme overkill for gaming however. I need the additional speed and have it overclocked to 4.5GHz on a simple air cooler. If only gaming, get an i5 instead, the i7 is not worth it for that application. Very good, I've used this in multiple builds for other people, quiet, performs well for the price, looks good, and is the easiest install out of any cooler I've worked with. Definitely worth the small premium over the Cooler Master Hyper 212 Evo. 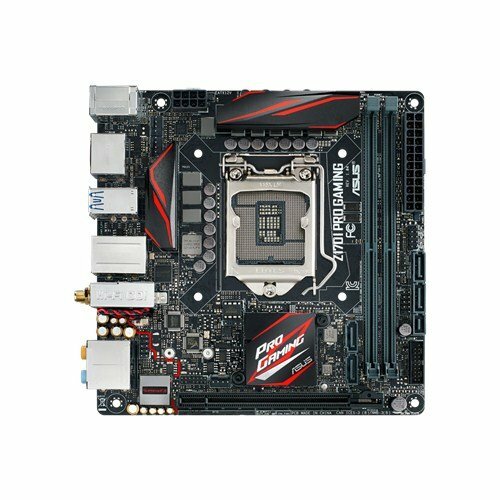 Easy to work with, used the ATX version a couple times in builds. BIOS is easy to navigate, and I haven't had any issues with them before and it's pretty feature-full for an ITX board, so I figured I'd just get the ITX version for my build. To be quite honest, I kind of wished I spent a little more on the SSD, as it was quite a large commitment. 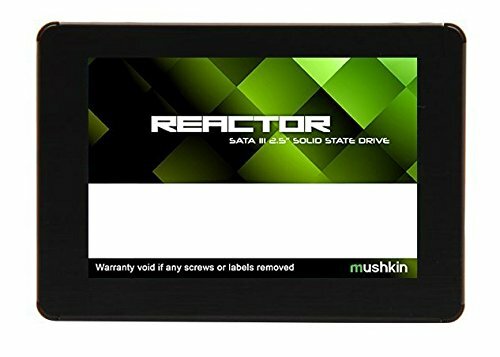 The Reactor is the cheapest MLC SSD on the market, and it does perform very well. However, after coming from an Arc 100 SSD, there is a very small, almost imperceptible speed difference in the Arc 100's favor. This is a fast SSD, don't get me wrong, but it seems to be the slowest MLC SSD. Still a good value though. 3.5 stars if I could. This is the best budget card I've worked with, and possibly the best reference card I've used. For a blower card it is extremely quiet (note I say 'for a blower card', it's still louder and hotter than a proper AIB card) and I can't say I expected its level of performance for under $300. It handles large CAD projects and get a consistent 80+ FPS at 1440p on Ultra in games like RB6 Siege and other FPS's like it. Excellent power supply, 7 year warranty, quiet, and pretty good included cables. 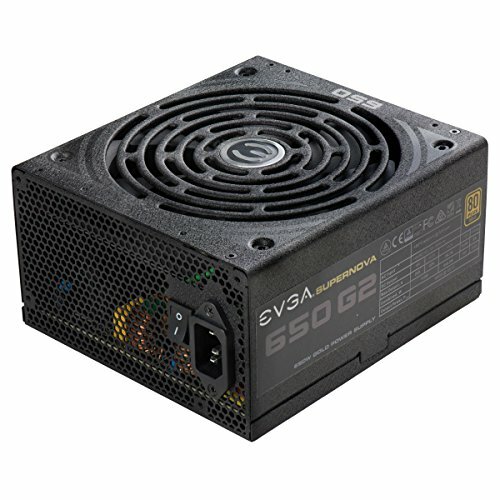 I love EVGA's PSUs and I try to use them when I can on builds. The fan is quiet, its airflow is okay, but it's priced well for a 140mm fan, mostly due to its hydraulic bearing. Like looking under the hood of a modern car. Clean, and covered up. Nice job. Man, that 480 just looks like a black box. So is the 480 worth it, or is the 390x or Fury still the goto for AMD? Thank you very much! I would say the 480 is entirely worth it, the 390x and Fury will perform better, yes, but you would be hard-pressed to find one at this price point. The AIB versions should be released soon, and hopefully prices will be kept in check by the release of the GTX 1060 at the end of the month. We'll see if the gtx 1060 performance is closer to the gtx 1070 than the 960 was to the 970. The 960 was a let down. Oh my god, this is the cleanest build I've ever seen. It's very minimal and I love it. Thank you very much! It was a bit of a squeeze, but I'm very happy with how it turned out. I am just curious what you have your cpu voltage set to? Your temp seems really high for that case and cooler. Im running 4.7 at 1.32 volts and mine doesn't go over 65c on a 100% stress test. Granted I'm on water, but it's a little 120mm radiator and a little itx case, so it shouldn't be that much different. Thanks! You're right, those temps are really high. I goofed and did stability tests with Prime95 benchmark (don't do this, the benchmark is pretty much designed to fry your CPU unlike regular Prime95, which is meant to find prime numbers). Other stress tests don't seem to take it near that temp, despite also saying 100% CPU utilization (83°C is actually the thermal cutoff for Skylake). I'll update this when I get back from work. Thanks for reminding me! Ok. I ran the prime 95 torture test blend. I was getting an error on core 4 @ 1.31 volts, bumped up to 1.32 and got zero errors for about an hour and called it good. The hottest my cpu ever got was 66c. In actual gaming I haven't seen it above 54c. Very strange, Prime95 is the only thing that causes those temps for me still (haven't tried it since). But yeah, my temps are mid 50s in games and high 60s in benchmarks as well. I'll look into this this weekend. I really appreciate you trying to repeat these results. Nice build! Definitely looks a bit different with the HD cages removed. It had not occurred to me to ditch spinny HDs for SSDs, I might consider that. Can't go wrong with a quiet build, right? You say the i7 is overkill for gaming, and that and i5 is a better choice. I need a computer for purposes other than just gaming too, but my work is digital painting in programs like PS or Krita. Do you think i7 is overkill for that as well, or can PS benefit from one? Quiet builds are fantastic, and with TLC SSDs getting so cheap it's becoming feasible to cut spinning disks out entirely! Still more expensive, but prices have been dropping pretty quickly recently. I'm not sure about Krita, but I know newer versions of Photoshop take advantage of hyperthreading, and both programs would probably benefit from the larger cache. If the painting was an occasional hobby I'd say save the money and get an i5, but since it is your work I'd say get the i7, either locked or unlocked. Edit: It looks like Krita also takes advantage of hyperthreading. Not sure how much either program would benefit from higher clocks or faster RAM however. Hope this helps! I'm definitely going to think about how to keep my build quiet! Using all SSDs would be one way to do that, so I'll think about it. Thank you for your advice! Yes, what I could find on Krita says that it is multi-threaded and can use all the cores in your machine. An i5 could definitely work, but since I'm going for pro I'll probably go for the i7 unless I'm on a budget (poor artists, you know...). I know that PS and Krita also benefit from more RAM, so I'm aiming for 16 gigs at the least. For the GPU, I'm probably going to go with a pretty middle-of-the-road model like the GTX 1060 (which I can actually buy one), since Krita does make use of a GPU and I'd like to be able to play a few games. Yes, that definitely did help, thanks again! I amtotally gonna copy your build,well except the psu i cant find that in my country..
1) The PSU overlaps a large cable routing grommet a bit and does complicate things. Any larger and the cables might not have fit through, so 165mm is the largest I'd go. You can see in the pics that the cables have to go forward a bit in order to be routed cleanly. 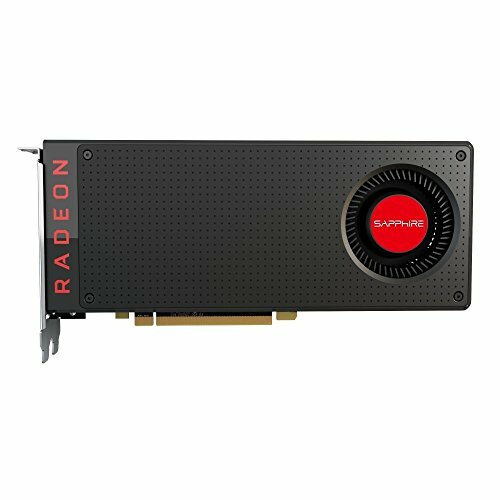 2) Thinking about getting the RX 490 if the price to performance is compelling, but I've budgeted for a next-gen Fury card if that lines up with my needs. Thanks! The monitor is an Asus MG279Q. It's a 1440p, 144Hz, IPS panel with Freesync. The Gsync version is called the PG279Q. Hope that helps! Thanks! Very happy with the RX 480, even at 1440p; It's great that the cost of entry into high-end gaming is finally lowering, I already had one friend switch to PC just because of the RX 480's release. Hey, can I ask how you got your SSD in that position? I have the same case and can't seem to get the brackets in any orientation that would allow that setup. Sure, I'm using the water pump brackets included with the case. The SSD is on one side, and the brackets are horizontal on the backside. The screws are going from the back side, through the brackets, through the case wall, then into the SSD. Hope that helps. Ah, I didn't even think of using the water pump brackets. Definitely gonna try this when I get home, thanks for the help! I haven't had any issues that would indicate long-term unreliability. My max temps are in the mid to mid-high 70°C's according to Msi Afterburner while running Unigine Heaven and in the low to mid 70°C's in games. I haven't had any other issues like artifacting at stock clocks or coil whine. I did have one issue where the AMD display drivers were crashing in certain games, but a recent driver update seems to have fixed that. It is still a reference card though, so don't expect silence under load and great overclocking. AIB cards should fix those issues however. Also sorry for spamming you, but the ssd you installed. Do you notice any immediate difference in speed? (if you have used a HDD build before whitch im guessing you have) because later on i might replace the HDD with an SDD on my future build. That's quite alright, I'm happy to help! The difference in speed is extremely noticeable between an SSD and an HDD; even a cheap TLC SSD will blow away disk-based drives in terms of speed. Booting up, loading programs, and even loading games is extremely quick. If you are to get an SSD, make sure you put your OS and your most heavily-used programs on it (whether those programs be productivity software or games) in order to see the most benefit. Really nice looking build! I would have chosen something very similar if I had a few hundred more on hand for my own. Thanks! I've been waiting for a while to do this build and I'm using it for work, so I figured I'd make it a good one. Regardless of what specs are, just make sure to enjoy it! That is a metric f*** tonne of steam games... The dream has been achieved for you. I got the 480 as a placeholder to take advantage of Freesync mostly, and because it was a new card that performed very well for under $300. A friend is building a budget rig towards the end of this year and I plan on recycling the card, so I didn't want to buy a used card then give that to him - this way I can still RMA the card for him if necessary.